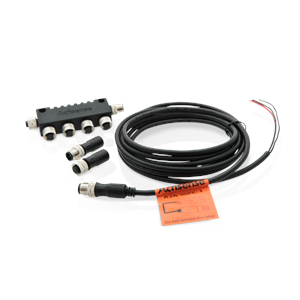 Installing small NMEA 2000 networks is quicker and easier than it’s ever been with the RIB Starter Kit (RSK) from Actisense. The equivalent of four T-pieces in a single case provides a significant time and space saving with no more connecting multiple T-pieces together. Termination resistors are included and as they are removable, the network can be extended if needed.